Propbably the final episode. Be sure to first watch 1, 2, 3, 4, 5, 6, 7, 8 and 9 before watching this 10th episode of the popular internet soap opera, 'An African City'. In this 10th episode titled 'A Big Decision,' Nana Yaa starts to date one of the most powerful men in Africa, much to the chagrin of her ex-boyfriend and first love Segun. 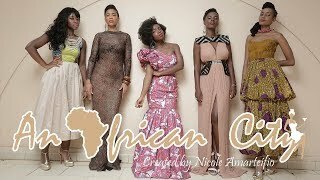 An African City is a Soap Opera written, created and directed by Nicole Amarteifio. It tells the story of five beautiful and successful African women who confide in one another about their love-lives (or lack there of) and find new ways to deal with being a 21st century woman in Africa.